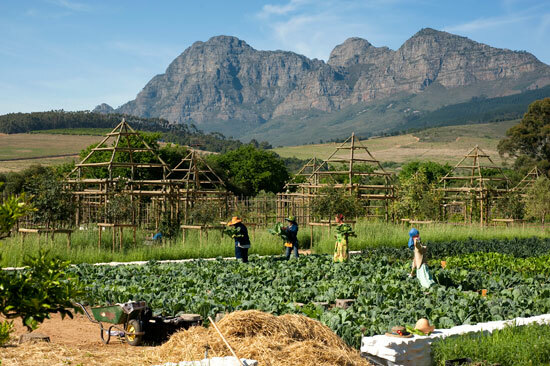 We often mention what we’re up to in the garden at Babylonstoren here, and on our Twitter feed too, and with good reason: it really is at the heart of the farm, supplying food for the restaurant, produce for our shop, and provides the most lovely setting for guests staying in the top notch Cape Winelands accommodation we have on offer. 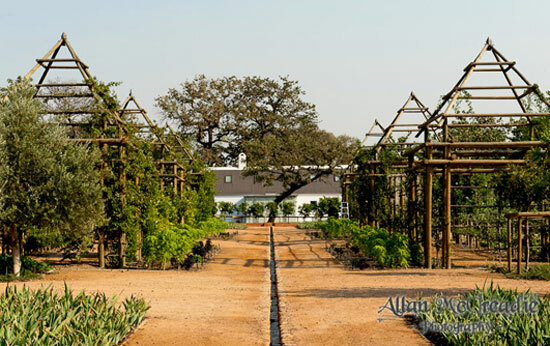 Designed by renowned French garden designer, Patrice Taravella, the eight acre garden is formal in structure, with a huge variety of fruit, vegetables and herbs growing in formal beds, bordered by espaliered fruit trees and intersected by walkways. The concept was inspired by the Company’s Gardens of the Cape, where for centuries ships would replenish with sweet water, vegetables and fruit at the halfway station between Europe and Asia. 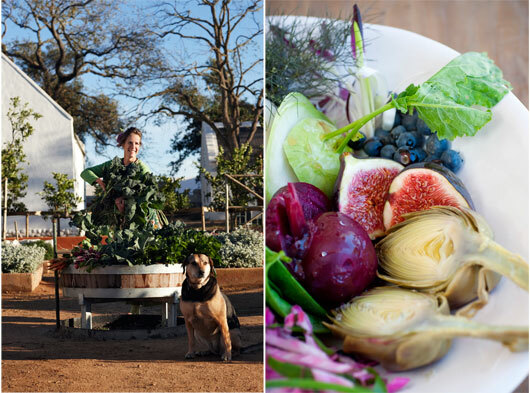 The garden is divided into fifteen clusters spanning vegetable areas, berries, bees, indigenous plants, ducks and chickens and includes a prickly pear maze. Gravity feeds water into waterways from stream into the garden as it was done for 300 years. 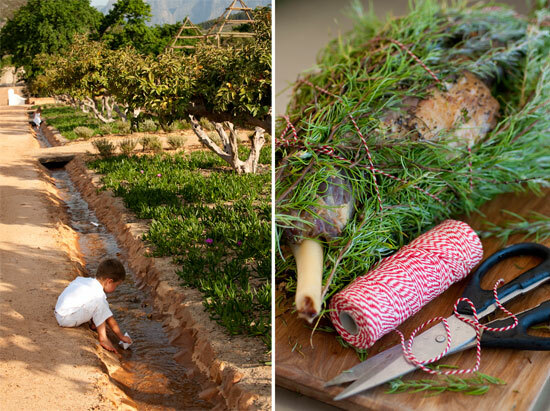 The Babylonstoren garden lies behind the main house and borders the guest suites. Laid out according to a systematic grid, there are three axis points: The bell tower axis and historic cellar axis cut parallel through the garden east to west, while the Babylonstoren hill axis runs along the historic werf (homestead) axis parallel to the road historically connecting Cape Town to Franschhoek. 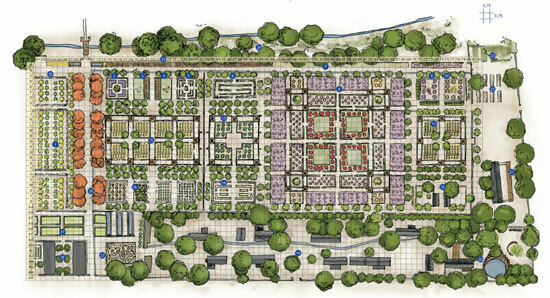 Serious gardeners may be interested to download a PDF of the garden layout, as well as a list of all the plants we cultivate. The gardens are open daily from Wednesday to Sunday, from 9:00 – 17:00, and you’re welcome book a garden tour by calling 021 863 3852, or via email. Do come and visit – we have so much to share.